Next up on Ruff Stuff Music Ltd are 4 killer, heavily stomping tracks on the boundaries between house and techno.Untitled05 is a new and fresh evolution of the label, bringing to life a solid sound with warm and intense atmospheres, including a magic remix by Dj Honesty. 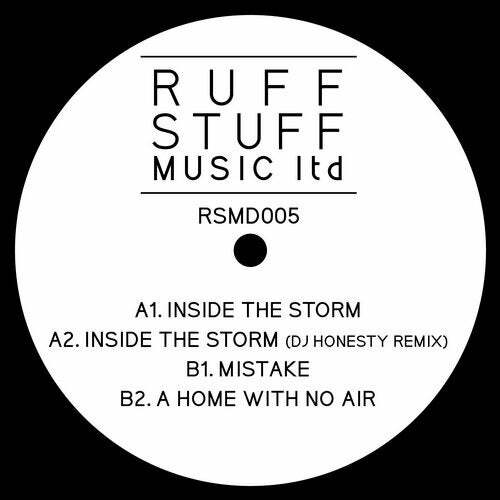 'Inside The Storm' opens side A with an imposing groove and hypnotic stabs, definitely flashing for the dancefloor.Dj Honesty's remix with its unique groove and the samples manipulation, goes in a deeper direction but still strong and energetic.The B side is full of surprises with 'Mistake' a track with a raw sound featuring incessant 909 toms, piano stabs and vocals that definitely recall the vibrations of the 90's. 'A Home With No Air' represents the true soul of Ruff Stuff, a warm house track with female voices, stabs and a fabulous organ that will transport listeners to another dimension.